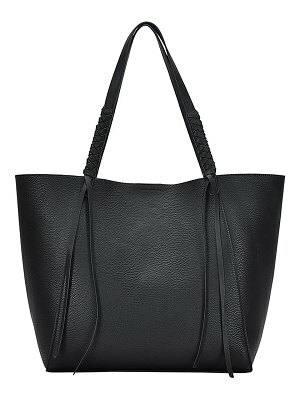 Prada's sophisticated fashion takes on a casual touch thanks to this tote with strap. 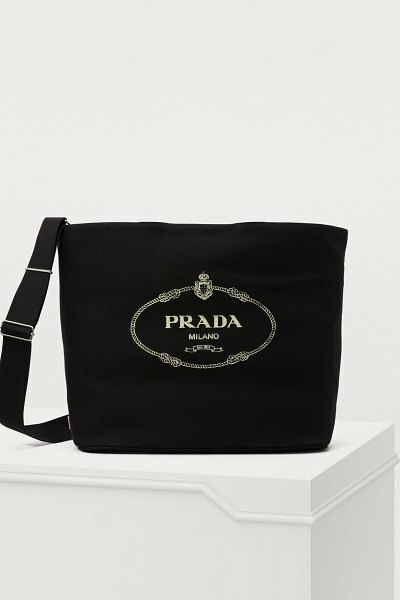 A classic logo on the front and on the pouch attached to the interior with a chain is brought to light with the functional piece's rigid shape. 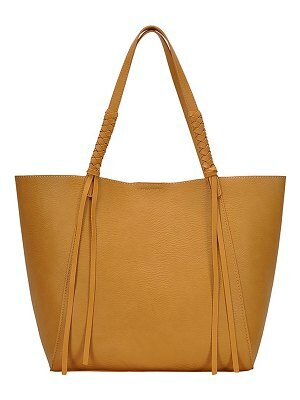 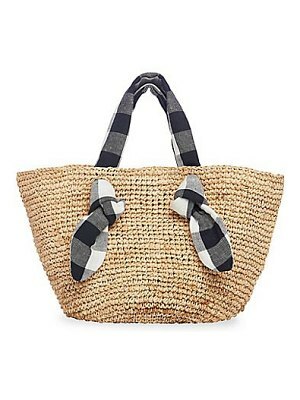 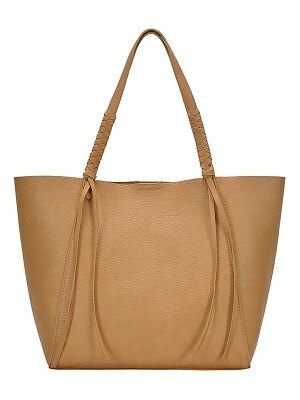 Carry it by hand or over the shoulder with its narrow handles or adjustable strap.